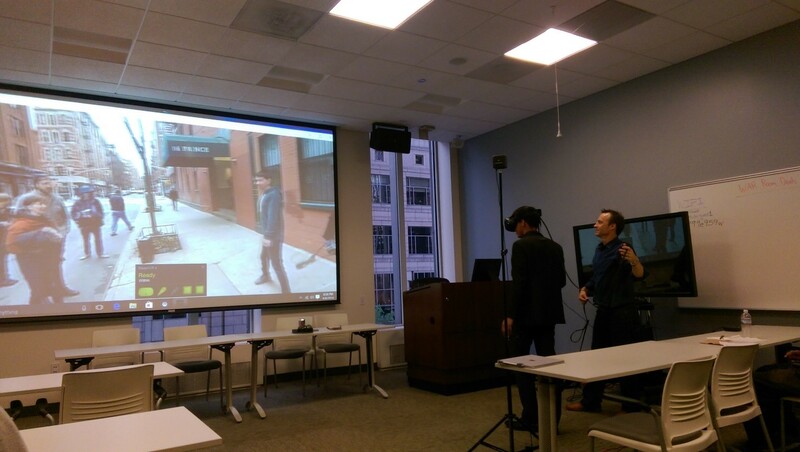 Christian Sullivan (left) wears an HTC Vive to view the virtual reality film “Walking New York” with the assistance of Microsoft CTO Paul Edlund (right). When 18 year old Chicago resident Christian Sullivan arrived at the Microsoft Technology Center for ITKAN’s September meeting, he had no idea that by the end of the evening he would be walking the streets of New York City. After an interactive discussion on the technology of virtual, augmented, and mixed realities, panelist Paul Edlund of Microsoft gave audience members the chance to try out some VR devices for themselves. Christian slipped on the HTC Vive headset—a gadget that until then he had only read about online and seen in videos—and suddenly found himself on a Manhattan sidewalk alongside a group of artists and filmmakers. Christian commented that he could barely believe his good luck; he had been researching VR equipment recently but had figured that it would be long time before he’d be able get his hands on such cutting-edge devices. After one visit to ITKAN, though, Christian had tested not only the Vive but also Microsoft’s HoloLens, a pair of state-of-the-art mixed reality smartglasses. 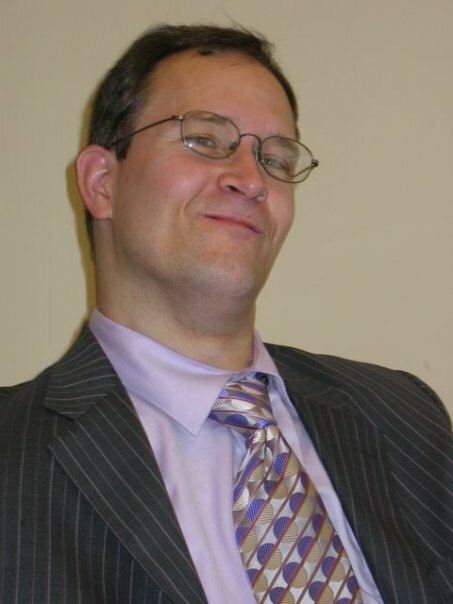 He left the meeting that night energized by the experience and more inspired than ever to pursue a career in IT. “I never thought this was where I’d be tonight,” he said as he took one last look at the screens, sensors, and “new reality” equipment positioned around the room. Over the past year, the organizers and members of ITKAN have been welcoming young adults like Christian to their meetings and into their network through a partnership with the Marriott Foundation’s Bridges From School To Work program. The Bridges program focuses on preparing young adults with disabilities for the workforce by providing them with job-readiness training and connecting them with job opportunities with local employers. Christian, a current student at Harold Washington College, recently joined Bridges to learn the skills he needs to find his first job. Because of his enthusiasm for technology, Bridges immediately introduced him to ITKAN so that he could meet with and learn from professionals in the industry. Less than one year ago, Orlando Herrera was in a similar position. Like Christian, Orlando had just graduated high school, wanted to study computer science, and needed help finding his first job. He joined Bridges during the early stages of the program’s partnership with ITKAN and attended the technology group’s October 2015 meeting, along with three other Bridges participants. Orlando enjoyed the experience so much that he continued to come back to ITKAN every month, meeting new people and learning new things each time. Meanwhile, Bridges helped Orlando find part-time employment as a meat clerk at Mariano’s Fresh Market, where he has worked for over nine months and has proven himself a valuable and reliable team member. Orlando Herrera (far right) listens to a presentation at the Microsoft Store during a job shadow with Director of Technology and Civic Innovation Adam Hecktman. Whether it’s through a thrilling virtual reality demo or an equally immersive job shadow, ITKAN is giving the young adults of Bridges a glimpse into what is possible. As the partnership between the two organizations enters its second year, more young people like Christian and Orlando will have the opportunity to build the professional knowledge and relationships to one day become IT leaders in their own right—one meeting at a time. This entry was posted in Interviews, IT Trends, ITKAN Mission Supporters, Megatrends, Virtual Reality and tagged augmented reality, Bridges to Work, marriot bridges, Marriot Foundation, Microsoft Chicago, Microsoft HoloLens, networking, Virtual Reality on September 29, 2016 by Mirna Velic. Come Celebrate NDEAM at the Microsoft Technology Center Chicago! In early 2008 we founded an initiative dedicated to creating a community of candidates with a passion for technology who managed disability in their lives. ITKAN was launched at the Illinois Technology Association’s (ITA) TechNexus incubator space with their generous support. Our tagline, “Fostering Knowledge, Network and Opportunity” remains a central theme to this day. 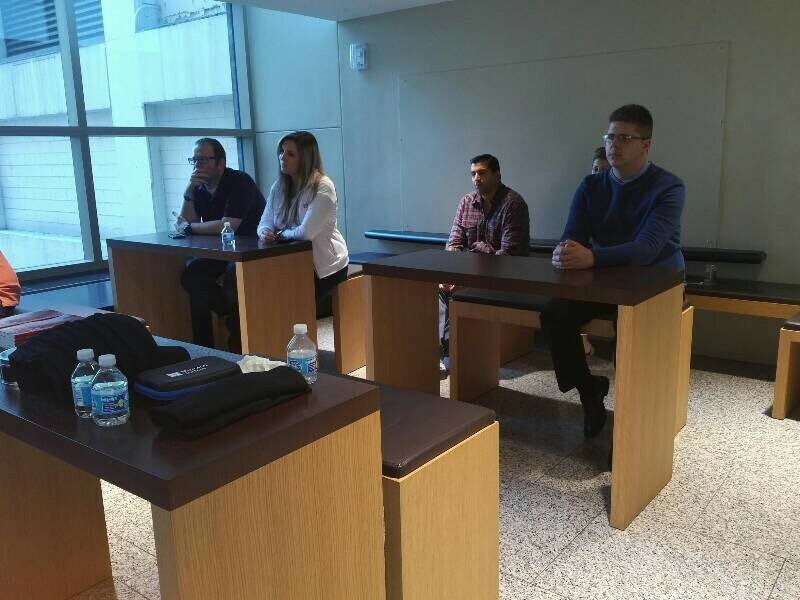 We have met each month – with some exceptions – to establish this community by bringing in expert presenters in leading edge technology applications and processes, educating members on a variety of assistive technologies, considering applied technology shifts such as the evolution in the mobile office and engaging our members in forward-thinking projects to enhance their career or future career opportunities. We have been supported in this mission by the ITA – and now the Illinois Technology Foundation (ITF), SPR Companies and its strategic family, and for the past two years theMicrosoft Technology Center (MTC) and staff. We moved our meetings to the MTC in Autumn, 2010. With the support of Adam Hecktman, Director, and Shelley Stern, Citizenship and Public Affairs Director of Microsoft we have settled into the beautiful MTC with its Envisioning Center, many creative spaces and generous hosts. Register for this MTC Chicago and ITKAN special event today athttp://www.itkan.eventbrite.com! 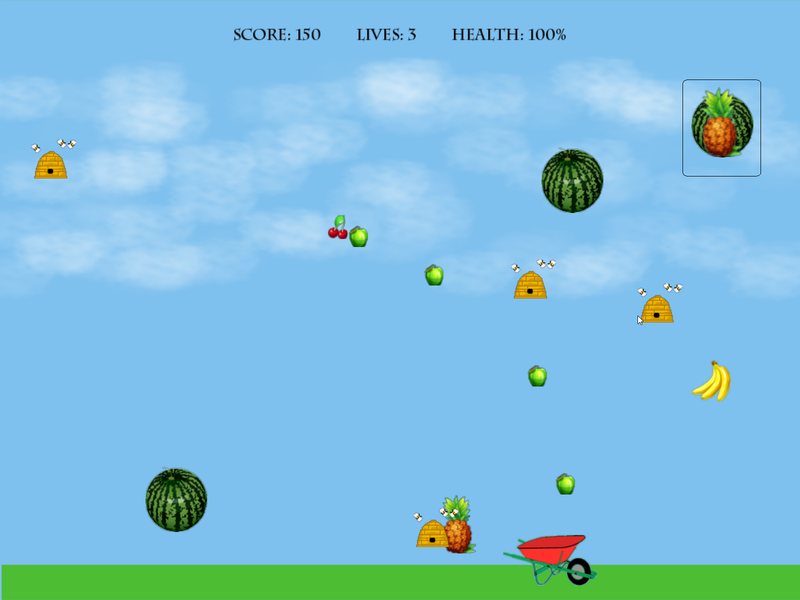 This entry was posted in Accessibility & Assistive Tech, Casual Friday, Disability Employment, ITKAN Mission Supporters, News and tagged Chicago, data recovery, microsoft technology center, Pat Maher. Kathie Topel, vision innovation team on October 12, 2012 by Bill O'Connor. 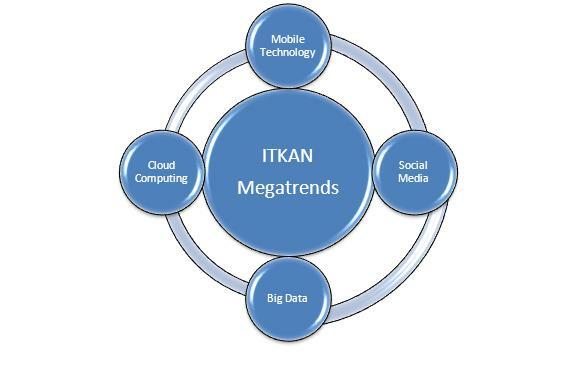 The information technology industry is comprised of a multitude of proficiencies, and “ITKAN’s Chats” will attempt to reach as many as possible to bring insight to its members, thereby finding their niche and taking another step towards the fulfillment of their mission. In our last ITKAN Chat, we spoke to Brendan Ginty at Sonicwall about the IT security industry. Continuing our focus on ITKAN supporters, we chat with Kathie Topel, the managing director of IMPACTinsights, part of SPR Companies. Kathie has led seminars and executive workshops that have fundamentally changed the way organizations operate and improved their performance and results. She created the POWERSHIP®model and wrote a book of the same name, based on her experience as an expert in IT-business alignment. Now she is putting her formidable skills and knowledge to work for Impact Insights and for the many companies she works with. Also, she recently led the inaugural meeting of the ITKAN Visionary Innovation Team! Hi Kathie, thanks for your time today. Can you tell us a little bit about IMPACTinsights and your book? 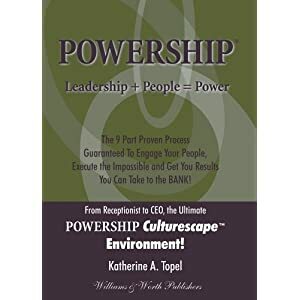 POWERSHIP® is a single source that outlines a complete corporate culture landscape or POWERSHIP Culturescape™ Environment. IMPACTinsights works with CIOs to ensure that IT is at the Heart of Business Success. We are IT Performance Consultants who build award-winning IT departments. The POWERSHIP® book is used in our implementations as the model to optimize performance which results in highly engaged employees and greater contributions to big business goals including revenue, profitability, innovation, customer acquisition, retention and satisfaction. After reading about Impact Insights on your homepage, it seems that your company focuses on streamlining companies towards common goals. How often is corporate culture a roadblock towards streamlining a division and/or an organization? Corporate Culture is frequently a roadblock for organizations. IMPACTinsights works to make sure that everyone from the front line to the top line realizes they have a role in leadership and that everyone is accountable for bottom line business results no matter what role they are in. We find that when individuals are engaged in their work and understand how their day to day role integrates with the strategic direction they can be upward of 40% more productive. Part of ITKAN’s mission is to “Support the Aggressive Adoption of Deep Diversity”™”. Diversity is one of the hottest keywords in business today, and it goes hand in hand with corporate culture. What is your opinion on where people with disabilities fit here? Individuals with disabilities can be such key contributors in the workplace of today. The way they view and understand concepts adds a dimension to the work place that can’t be overlooked. I frequently see them being extremely focused, very consistent, constantly driven and key participants of innovation. One perception that we concentrate on from participants during ITKAN Chat is what do they think of the future of IT as a whole. What do you think, Kathie? I see the role of IT in the future continuing to evolve at a much more aggressive pace than ever before. I believe you will see the role of IT across the board needing to be more strategic. The leadership of IT will need to be more like the leadership of an entrepreneurial company and understand as much of how bottom line value is generated as they will need to understand technical concepts. Kathie, we appreciate your time for this interview and your contribution to ITKAN. Any final thoughts? Professionals with disabilities have so much to offer within the space of technology. Keep up all of the great work in the area of Diversity and Inclusion. I look forward to supporting ITKAN in way possible. This entry was posted in Consulting, Interviews, IT Trends, ITKAN Mission Supporters, Visionary Innovation on May 17, 2012 by Bill O'Connor.